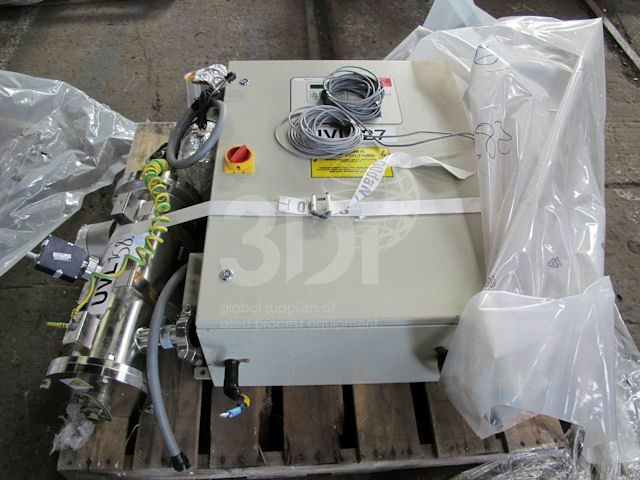 Used Ultra Violet Water Treatment Unit, builf by Hanovia Ltd, 2000, Model PMD152C1/4T, material of construction: 316L Stainless Steel, design pressure 10 bar. Unit is complete with control panel and documentation. Previously used on ozonated process water.